The issuance of Temporary Use Permits (TUPs) can be considered in all Official Community Plan designations within limits of the Village boundaries. A TUP is a tool to allow a short-term commercial or industrial use that does not comply with the Zoning Bylaw and may be utilized where a condition prevails that warrants such a use for a short period of time, but does not warrant a change of land use designation or zoning of the land. Avoid conflicts between different types of uses (i.e., residential, commercial and industrial). Provide for temporary approval of transitional uses, or uses where uncertainty exists. Respecting appropriateness or viability of the use, and where it is premature to decide upon rezoning and long-term land use rights. Ensure that temporary use permits are not considered a substitute for a rezoning application. The use must be clearly temporary or seasonal in nature. Compatibility of the proposal with adjacent uses. Impact of the proposed use on the natural environment, including groundwater, wildlife, and all environmentally sensitive areas, and the proposed remedial measures to mitigate any damage to the natural environment as a result of the temporary use. Intensity of the proposed use. Inability to conduct the proposed use on land elsewhere in the community. Must be reviewed and approved by the Ministry of Transportation and Infrastructure (MOTI) with respect to access to and effect on Provincial highways. 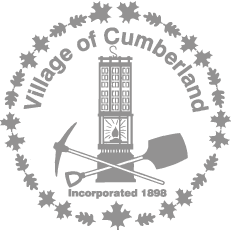 Please contact Development Services staff at 250-336-2291 or planning@nullcumberland.ca if you are considering an application for a temporary use permit. An application only accepted when all the required information and application fees have been received.